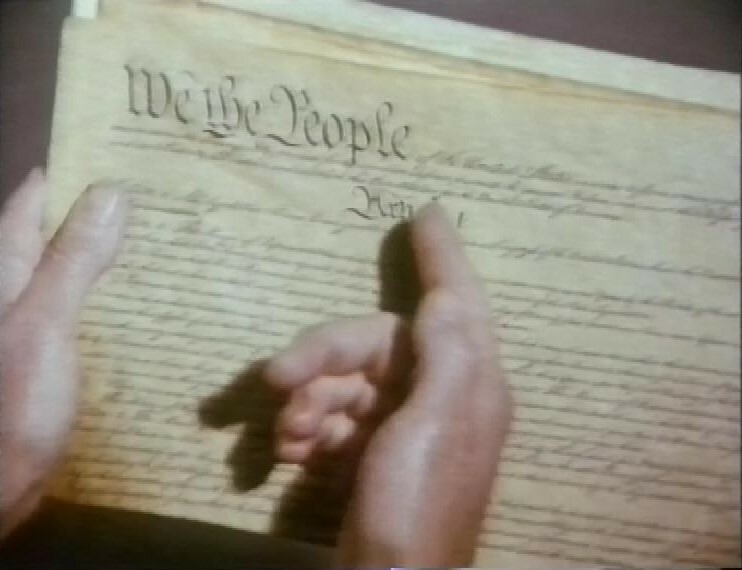 Three second season episodes of the original series on this tape, starting with By Any Other Name, an episode that unnerved me a lot as a child. 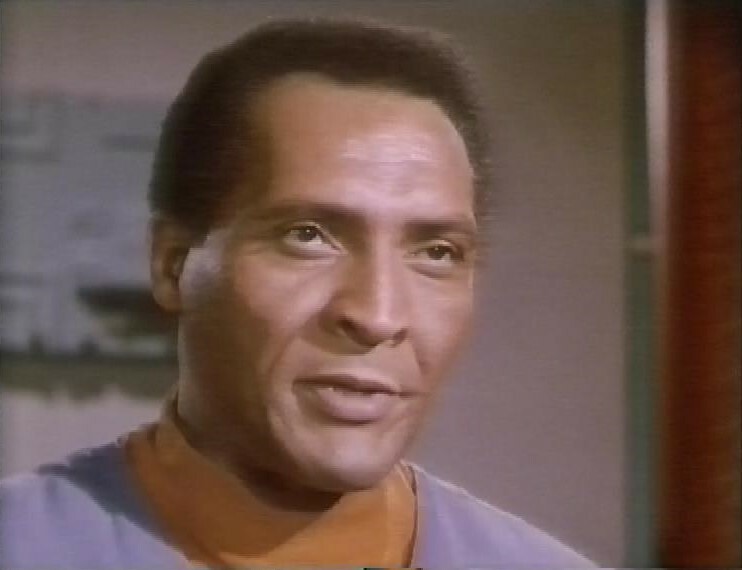 The Enterprise responds to a distress signal and land on a planet where they find some survivors of a crashed ship. 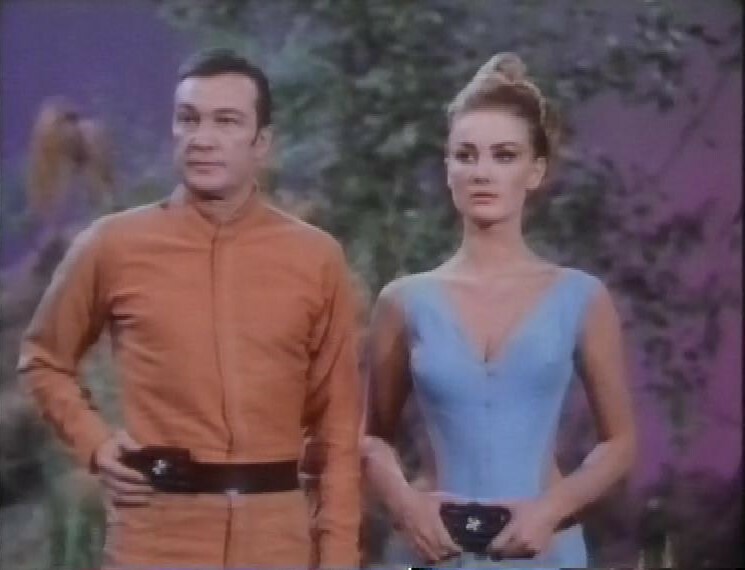 But the first thing they say is that they’re taking over the Enterprise, and they have magic buttons on their belts that can freeze people. That wasn’t what freaked me out as a child, though. 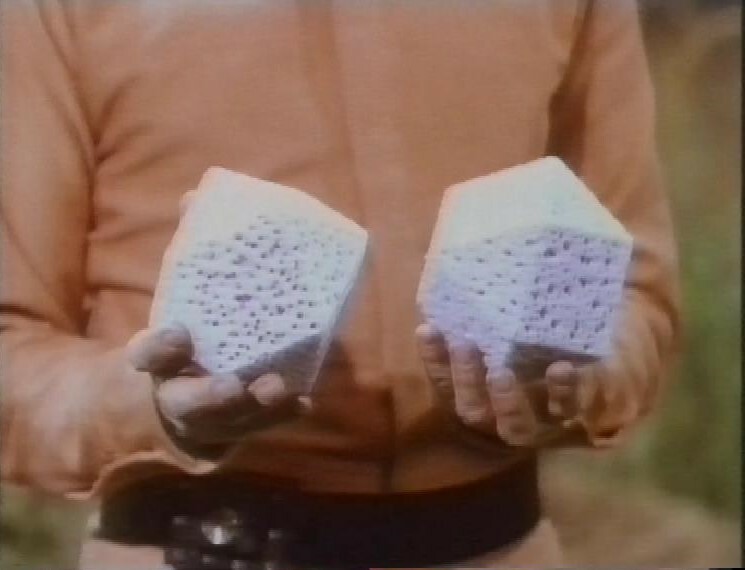 It was another feature of their buttons, which could compress every particle of a human body down into a foam dodecahedron. This was creepy enough, but then he crushes one of them, killing them, which really upset me. Kirk and team manage to foil the evil alien plot by snogging and getting them drunk. 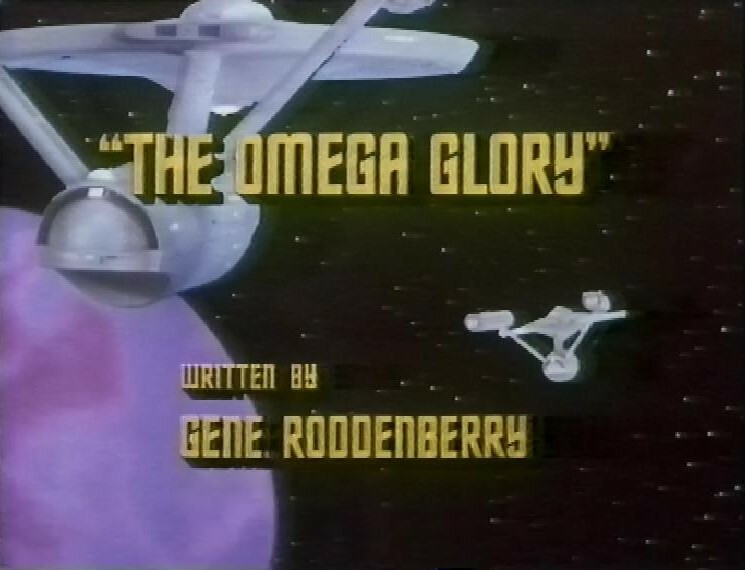 The next episode is The Omega Glory. There’s an exciting shot here when the Enterprise encounters another Constellation class starship, whose crew seems to all have died from some strange disease that turns them into crystals. It was always a bit special to see other ships like the Enterprise. 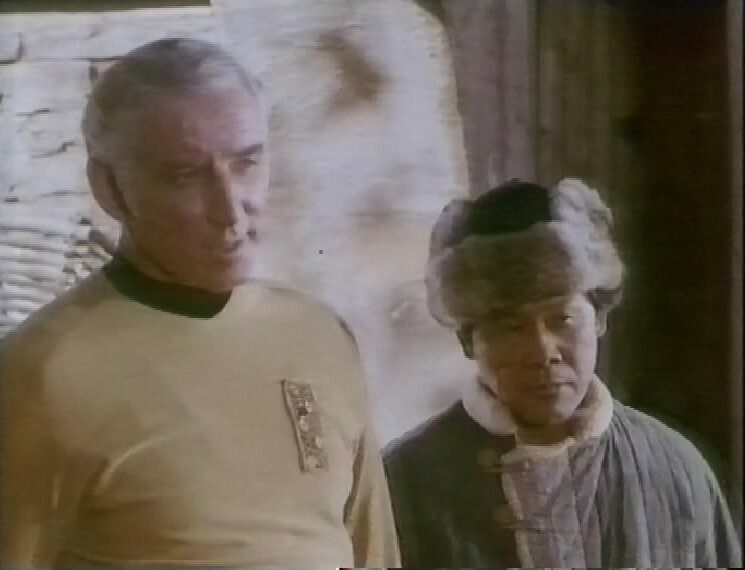 The landing party beam down to the surface and find the surviving captain of the ship, Captain Tracey, along with the local population, who look vaguely Mongolian, whom he calls Kohms. They keep being attacked by their enemies, the blonde haired Yangs. Tracey has been helping the Kohms kill them with his phaser. They eventually get brought before the rulers of the Yangs, and they discover that this planet must have had some kind of parallel development. Extremely parallel, as demonstrated by their flag. The Yangs are ‘Yankees’, the Kohms are Communists. 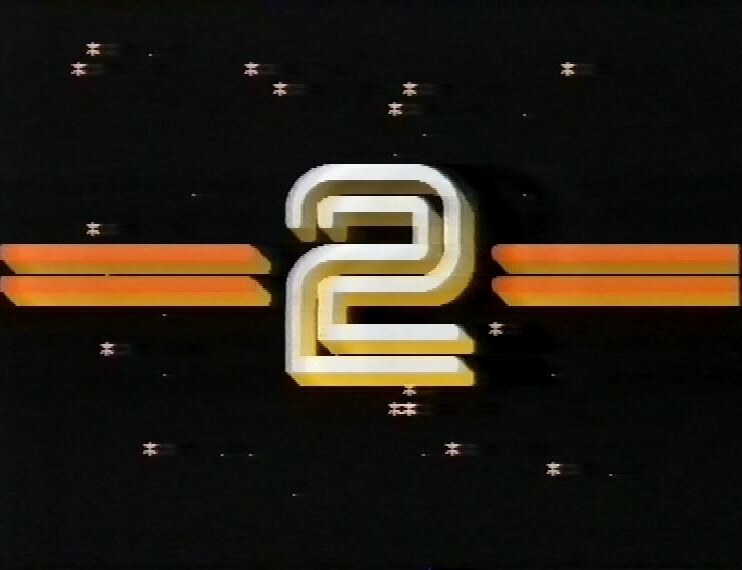 Before the next episode, I’ve no idea what BBC2 thought they were doing here, but it looks like someone got a BBC Micro for Christmas and is determined to use it. This episode is The Ultimate Computer. 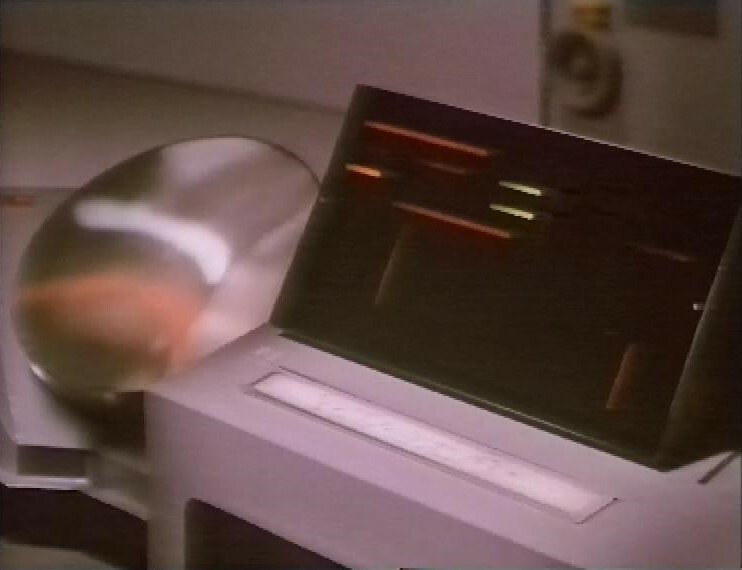 The Enterprise is tasked with being the quarry in wargames, but rather than let Kirk command the ship, Starfleet fit the ship with the M5, the most sophisticated computer ever built. Its creator is Richard Daystrom, a computer genius who’s rather keen to demonstrate how capable his machine is. It’s a memorable performance from William Marshall, who’s so confident in the infallibility of his creation, and can’t cope when it starts going wrong when faced with real-world testing. Well, which of us in Computers hasn’t been there? Although I don’t think my failures ever killed anyone. 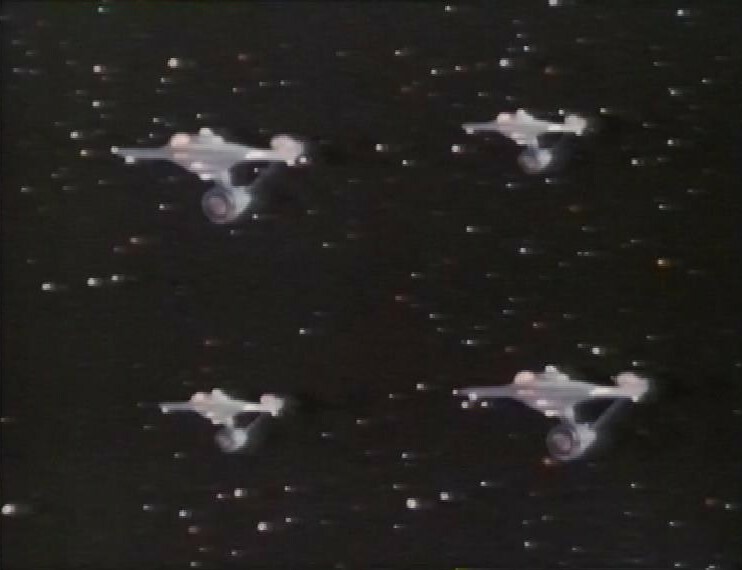 I got excited earlier about two starships, so imagine my thrill in this episode when we get four of them. After this, there’s a trailer for The Natural World, then the start of Discovering Animals with Tony Soper. 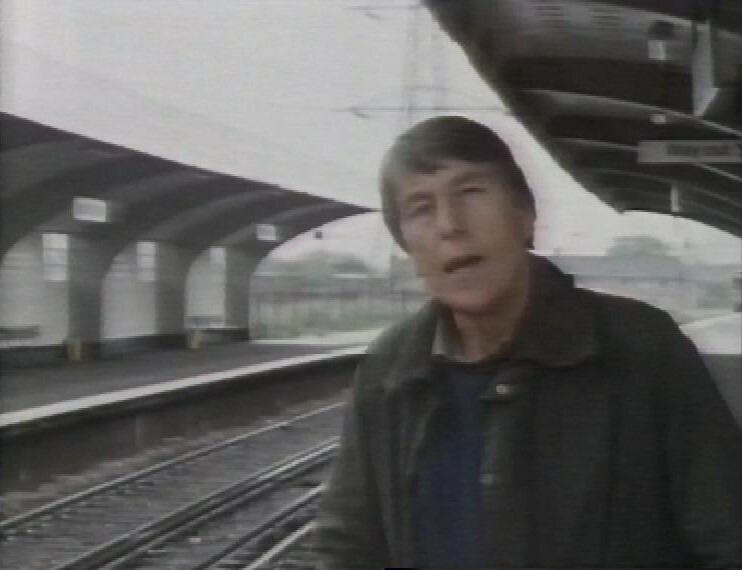 I thought I’d look up Tony Soper to see what happened to him, and rather marvellously, he’s still around, at 89, and I hope he’s enjoying retirement.